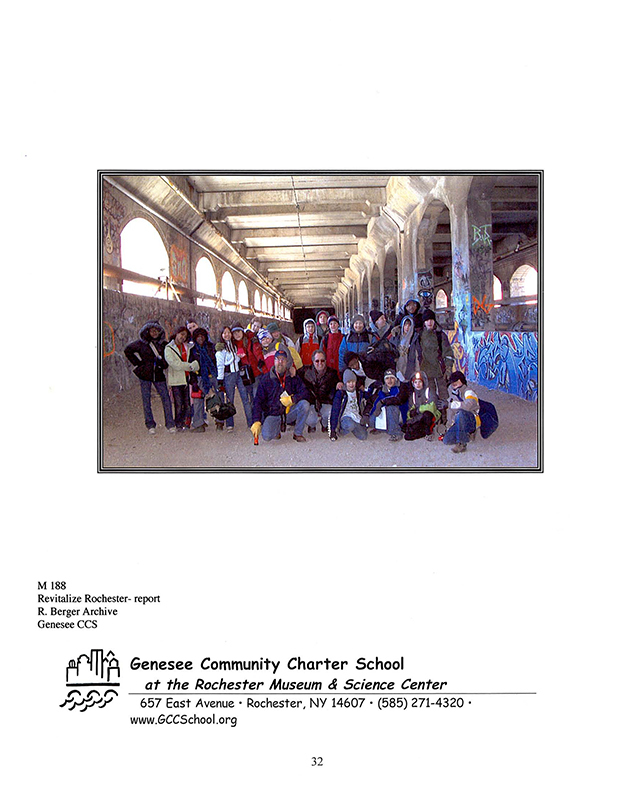 Revitalize Rochester is a professional quality report/position paper created by 6th grade students at the Genesee Community Charter School in Rochester, New York. It argues for the reconsideration of an unsuccessful bond issue to revitalize the Rochester downtown by restoring water to the dry Erie Canal waterway and building a surrounding commercial district. 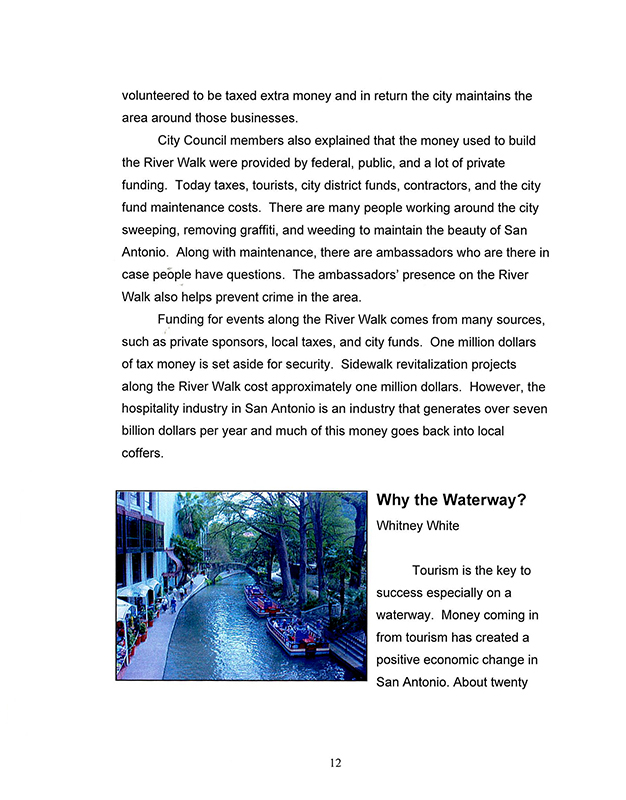 The report presents information that students researched and collected about other cities around the United States who have engaged in successful waterway-revitalization projects. 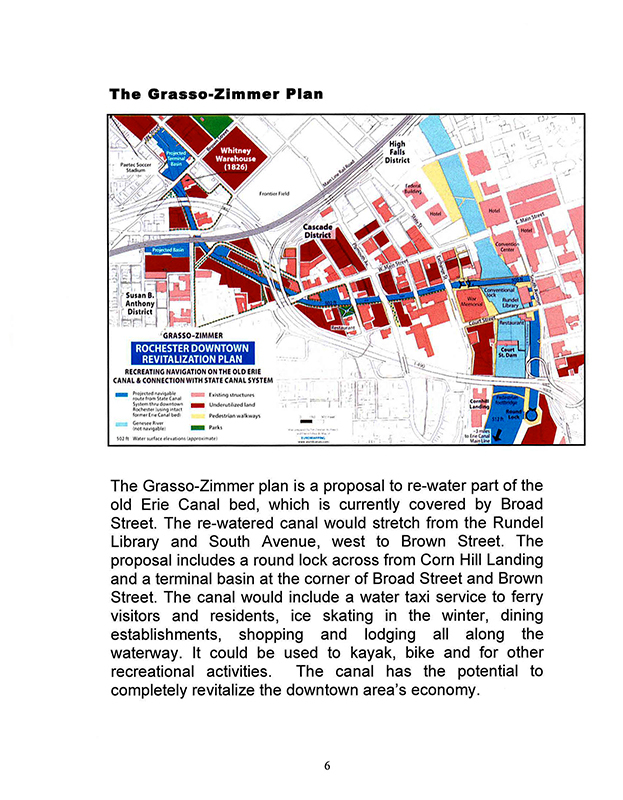 To research their project, students began by learning about the Grasso-Zimmer Plan, a proposal that was prepared by two engineers to re-water the covered up canal bed that runs through the center of Rochester. When put up for a vote, the community of Rochester voted down the plan; students, however, were in favor of it and chose to work toward garnering support for the plan. Students met with Grasso and Zimmer and learned first hand about their proposal. 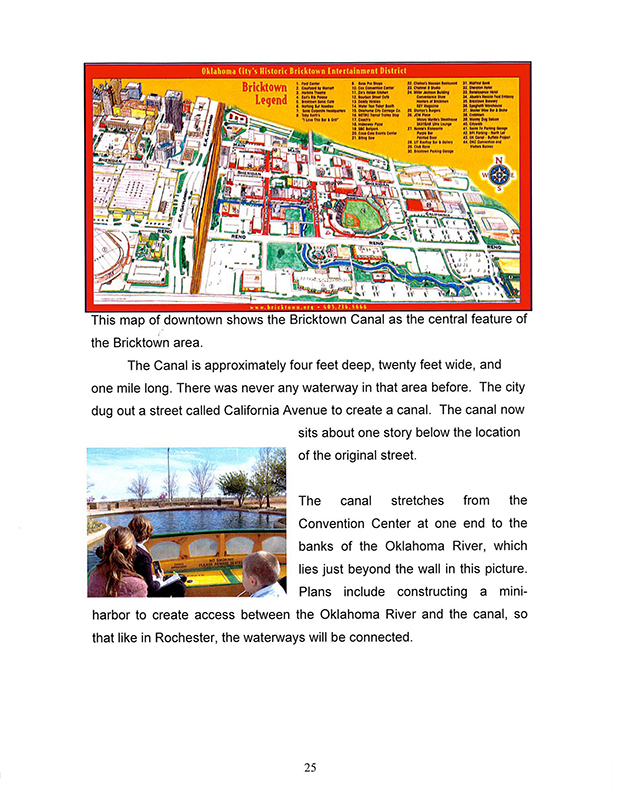 Re-watering the canal, the students found, had the promise of revitalizing downtown Rochester, which had become a shell of its former vibrant self. Students, motivated by the hope of creating a thriving community for their own and generations to follow, traveled in small groups to four different cities to speak to people who had been involved in, and benefited from, waterway projects. The class raised funds to sponsor these student research teams to travel via car or plane and to spend multiple days interviewing experts: the mayor, city engineers, city councilors, business owners and citizens. Students returned from these trips, shared information with their class and combined forces to write a document that presents the value of the project from economic to recreational perspectives. 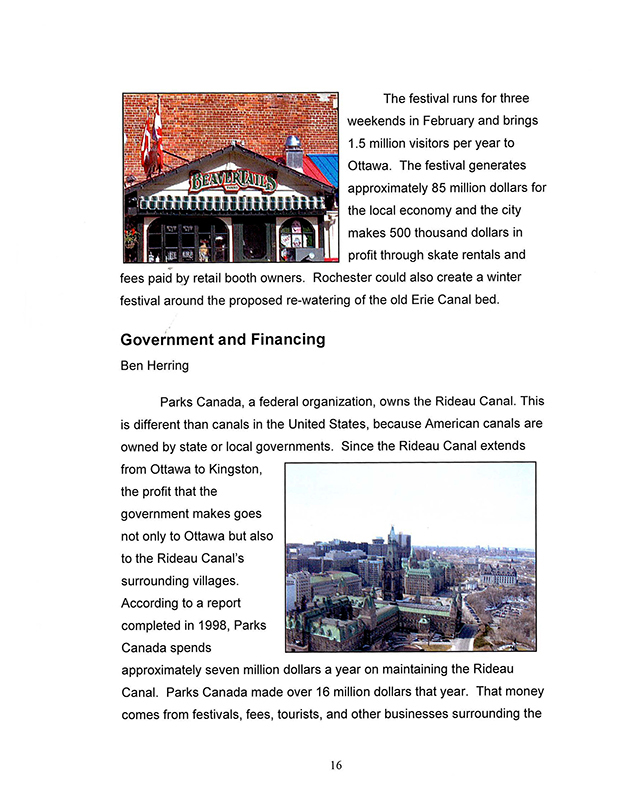 Although students worked collaboratively on each stage of the project, individual students were responsible for writing up different sections of the report. The final report was presented to city officials and other interested citizens. At the end of the school year students “passed the torch” to the next 6th grade class. The following class created and administered a survey investigating public opinion about the Grasso-Zimmer Plan. Their final product, entitled Reshaping Rochester, can be found in this archive as project number 403. Following the work of these students and other community members, the city of Rochester reopened consideration of the revitalization plan. 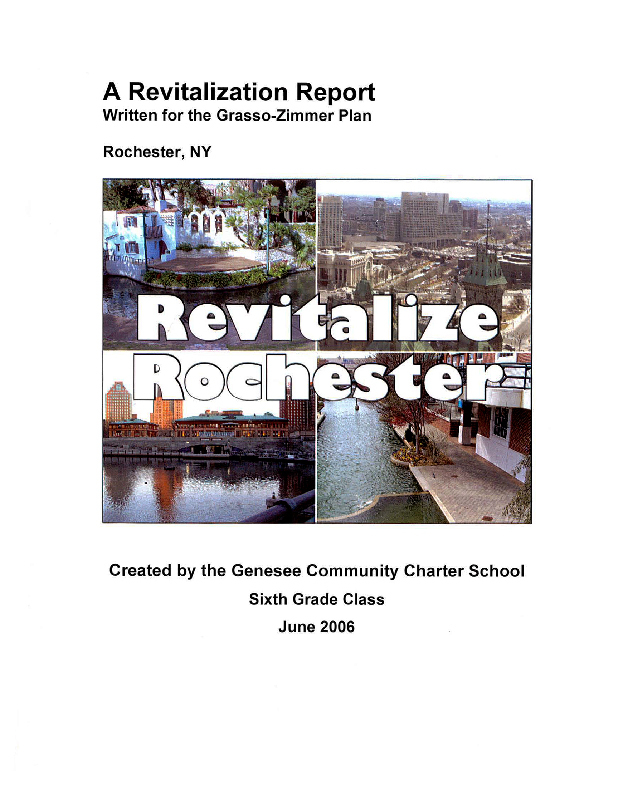 In the fall of 2010, the city of Rochester broke ground on a scaled-down version of the plan, committing tens of millions of dollars toward the renewal project. The mayor of Rochester publicly attributed the successful revitalization of the project to the research and lobbying work of these sixth grade students. Five of the students who worked on this project were keynote speakers at the Expeditionary Learning national conference in 2010, sharing the story of this project with 700 educators. This book, and many others like it, are available for purchase on the schools’ website. See the related video clip of students presenting the important work they did as sixth graders at EL's 2011 National Conference, in front of a crowd of 750 people. I can use a variety of media to develop and deepen my understanding of a topic or idea. I can use effective speaking techniques (appropriate eye contact, adequate volume, and clear pronunciation). I can objectively summarize a scientific text. I can compare and contrast the information gained from a variety of sources about the same scientific topic.